Tagged as 50% OFF, animation, C4D, cinema 4d, dynamics, learn., mograph, NAB 2019 Sale, Tim Clapham, training, Xpresso. learn. Cinema 4D Dynamics is a comprehensive introduction to mastering dynamics within Cinema 4D. With a proven track record as one of the worlds leading tutors in Cinema 4D, Tim Clapham takes you through this incredible feature rich toolset. Explore the techniques and processes of working with Dynamics as you create five unique projects from the ground up. Each workshop is designed using real world techniques and methods, which are presented in a detailed and comprehensive manner. Throughout the training we focus on harnessing the power of the dynamics engine and controlling the simulations. This is complimented by continual reinforcement of key methods throughout the 3D process. Each class offers further substantial benefits to your skill set including modelling, shaders, textures, expressions, animation, baking, lighting and rendering. learn. 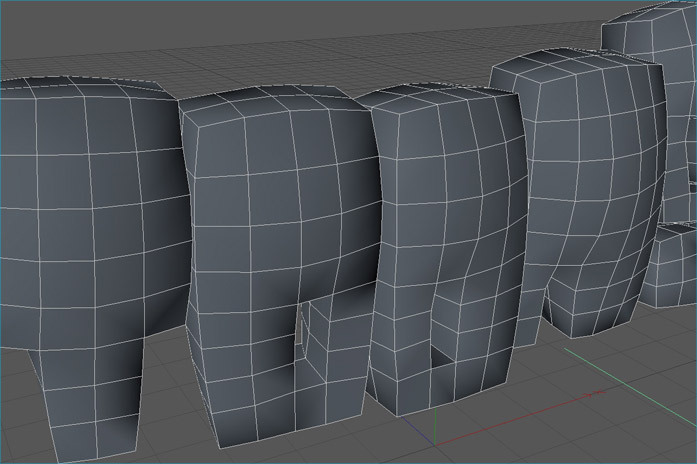 Dynamics is an indispensable training asset for all users of Cinema 4D. Take a seat and prepare yourself for an in-depth introduction to the fundamental principles of working with dynamics. This tutorial covers the step-by-step processes required to model and rig a functioning deckchair. Using a real world object as a basis, we explore rigid bodies whilst building the legs and supports, connectors to hinge these parts together. 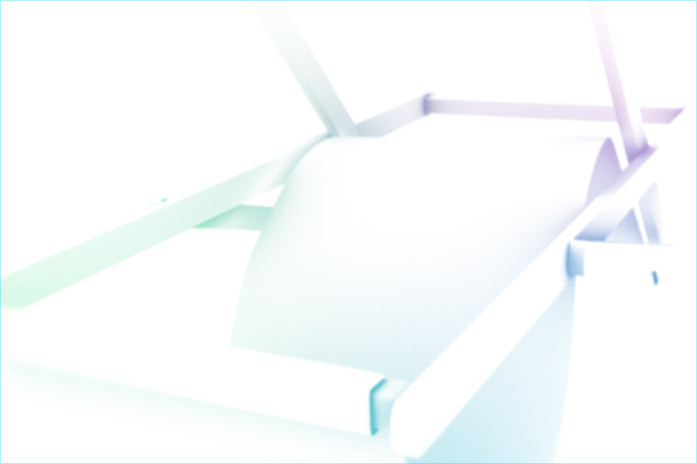 Construct the seat using Soft Bodies and bind the whole structure together with connector objects. Alongside the unravelling of the dynamics toolset, we will discuss common pitfalls and limitations. How to spot them, and examining alternative solutions and methods to bypass these predicaments. The Deckchair tutorial will offer a solid foundation, harnessing the principles of dynamics and allowing you to immediately start using such techniques in your day-to-day animation projects. Sometimes you are bouncing along quite happily but then suddenly, the pressure gets too much and you’ve reached the end of your fuse. Before you explode and everything blows up out of control, sit back, relax and learn with this fun filled workshop where you will create a cartoon logo animation from initial concept, through to modelling, animation and simulation to final output and render. 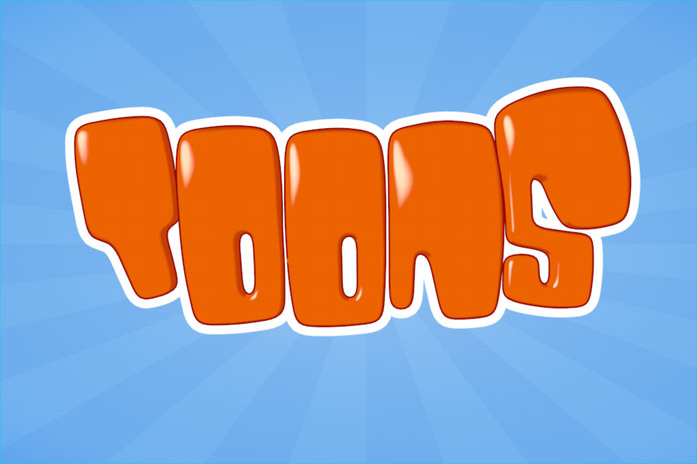 Centred around Dynamics Soft Bodies, this tutorial takes you through the process of modelling cartoon style text designed to be used with Soft Bodies for a balanced result. After configuring the Soft Body parameters to create a bouncy, yet controlled simulation, we move on to build a fuse using MoGraph and Soft Bodies. The spark is animated along the fuse using a technique which automates the traditional frame-by-frame style of animation. Comic animation would not be complete without using the well-established cartoon shading. Using a combination of Cinema4D shaders, mixed with Sketch & Toon for the lines and cel rendering, we will explore the ins and outs of using Sketch & Toon to create individual styles for your models. This could be your lucky day! Featuring a wealth of top tips to enhance not only your dynamic capabilities, but heighten your MoGraph skills too. The Lotto tutorial takes you tumbling through some terrific techniques. 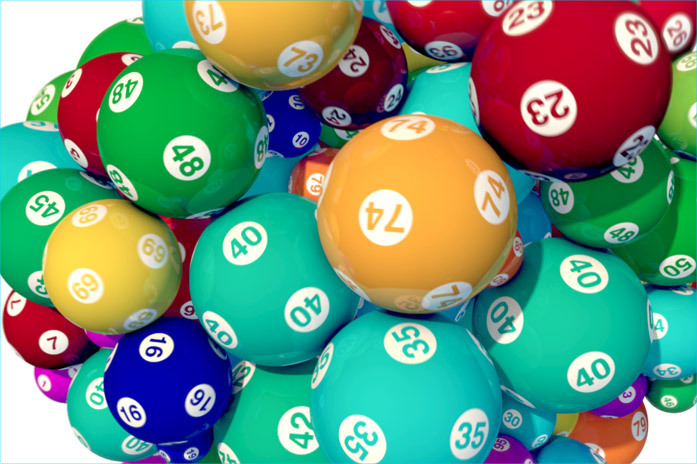 Create hundreds of individual textures using Xpresso driven automated baking, then use these images inside several of the MoGraph shaders to create an abundance of uniquely numbered and coloured balls. Using a multitude of effectors with rarely used parameters, we will explore weighting, UV transform, falloff and integrate this with Rigid Body Dynamics, Ragdoll Connectors and advanced techniques available through the Dynamics Xpresso Nodes. Not only will you master the control of MoDynamics, but you’ll also unleash the maximum potential of the ever-expanding toolset that is MoGraph. 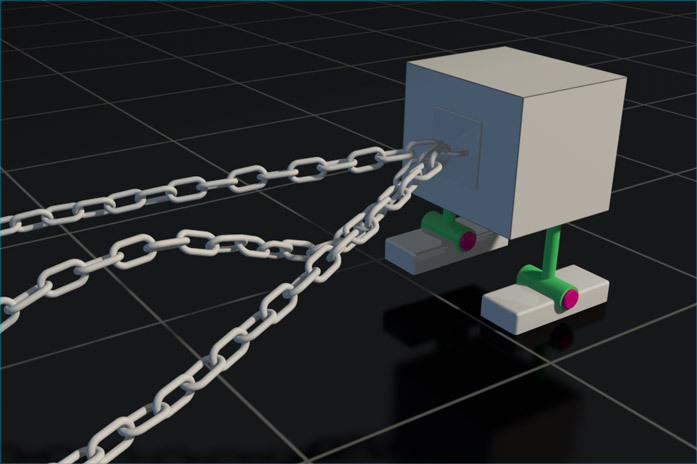 You no longer need to feel chained to your desk, break free from your constraints with the Chains tutorial. This workshop will take you through the process of rigging a fully automated walking machine. Assembled using a combination of motors, connectors and springs we will manufacture a mechanism designed to stride endlessly without a keyframe in sight. Using a series of chains, we will link the robot to a TON of letters and let him take the strain. 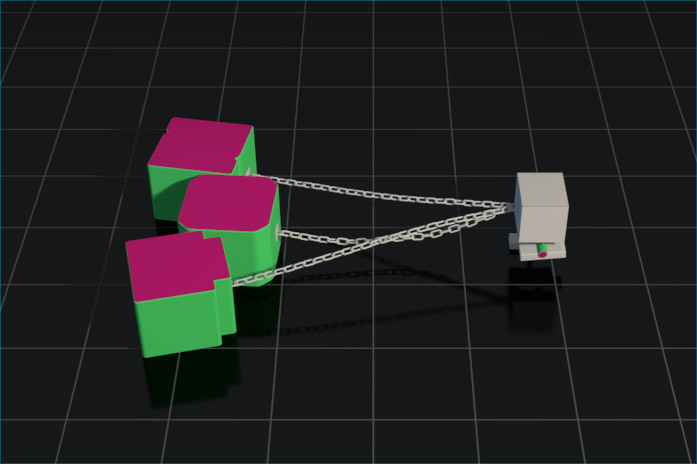 By using collision detection techniques, which may not seem obvious at first, this will allow us to build fully functioning chains that can be connected to other objects and used to pull them along. Rather than abandon our device alone in a barren grey world, we will create appropriate shaders and materials so the everlasting journey has a few glimmers of colour to brighten his day. 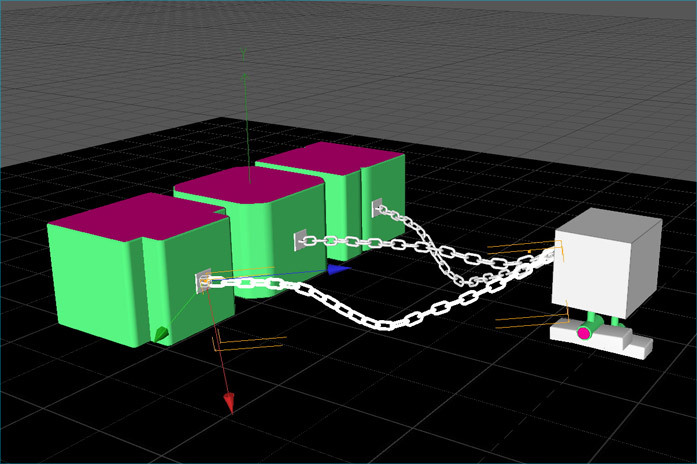 Chains is a comprehensive introduction to the power of combining motors, springs and connectors to create simulation driven animation. 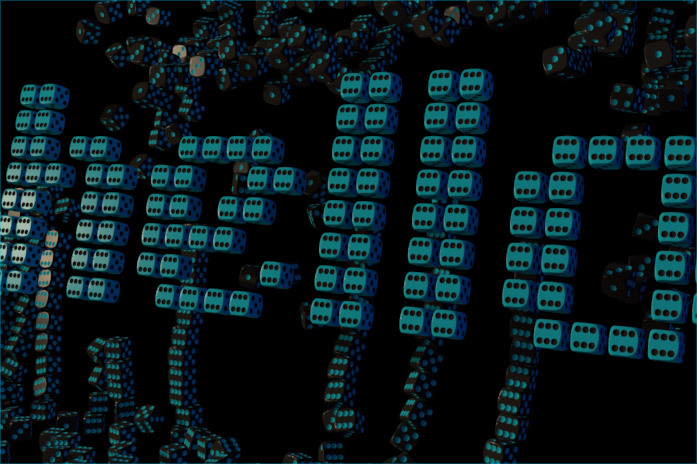 Starting with an exploration of more conventional techniques such as dynamic transitions and follow animation, the tutorial then evolves, using less obvious, esoteric methods. Learn to control the dynamic state of your objects through Xpresso. A technique that has the potential to be used in many other areas beyond the demonstrated dynamic switching. Creating proxy objects for enhanced playback speed.